Pretty straightforward, just arrange the languages in the order you use them. This is the important one. Select all the input methods you use. 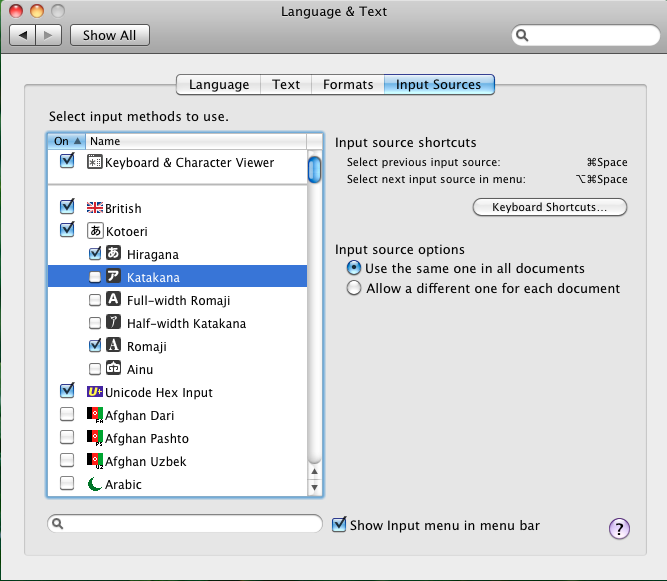 I use Japanese so I have selected Kotoeri which is the input method for Japanese characters on a Mac. Then within the Kotoeri sub-menu I choose the methods I prefer to use. I also like to have Unicode available just in case. 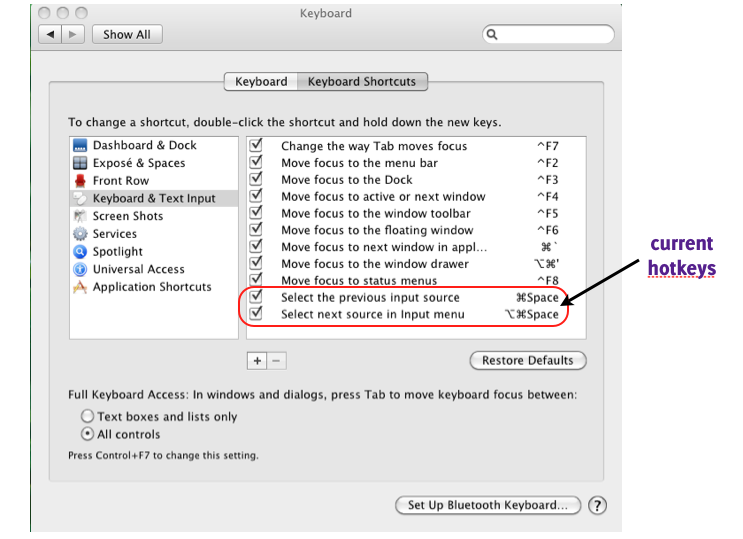 To change the hotkeys to suit you just double click on the current key combination and type the keys you want to change to. Make sure you hold down the keys otherwise it will just take the first key you press. 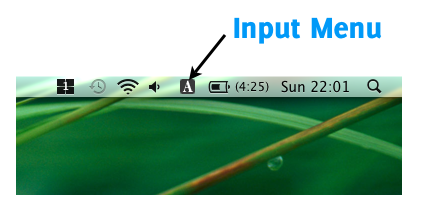 It saves automatically. 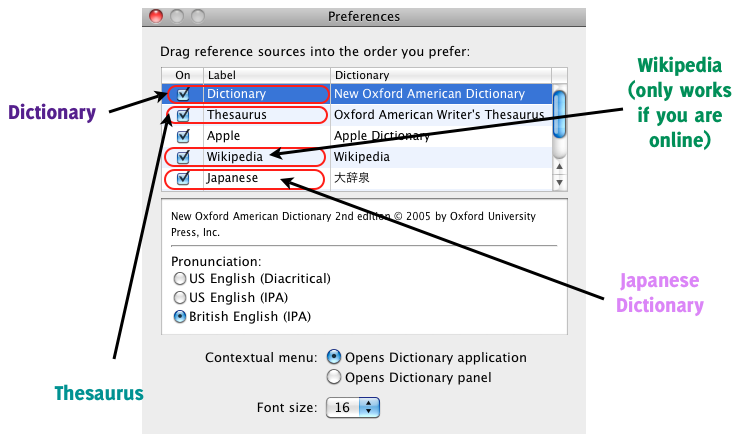 I have been using OS X for nearly a year now but I never bothered to find out how to use the built-in Dictionary properly until a few weeks ago. It is actually surprisingly useful. So a quick heads up for those who have never used it. You can type any word in to Spotlight and Dictionary will offer a definition for it. 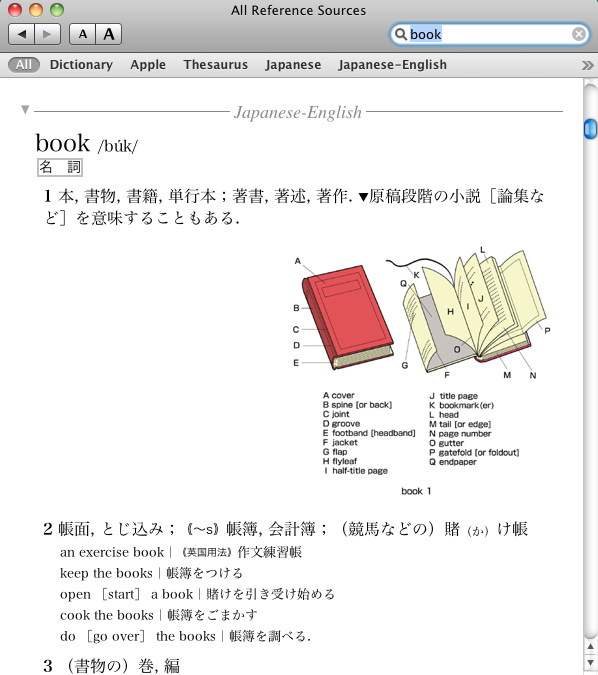 You can also open Dictionary through the Applications folder. 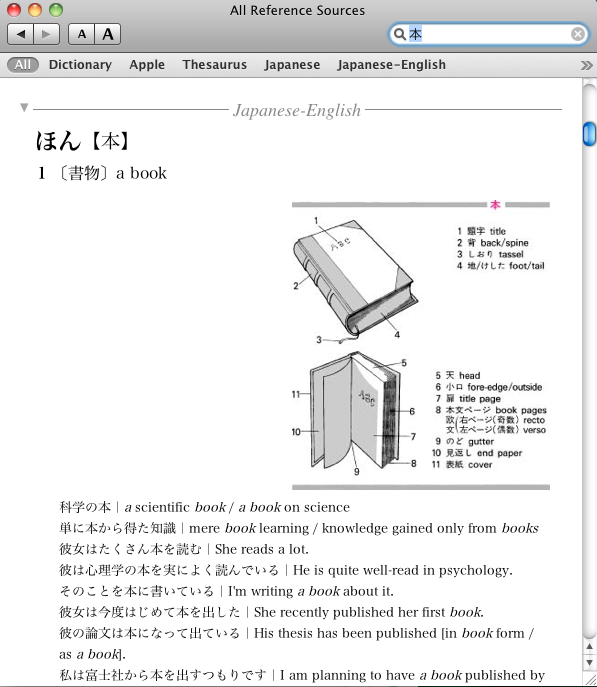 There are various dictionaries available, depending on which languages you use, and you can select the ones you want in Dictionary > Preferences. There’s also a Thesaurus and an option for Synonyms. You can also get definitions straight from Wikipedia but you have to be online to get them. You can change the order in which definitions appear by changing the order in which they are listed here. and from English to Japanese. 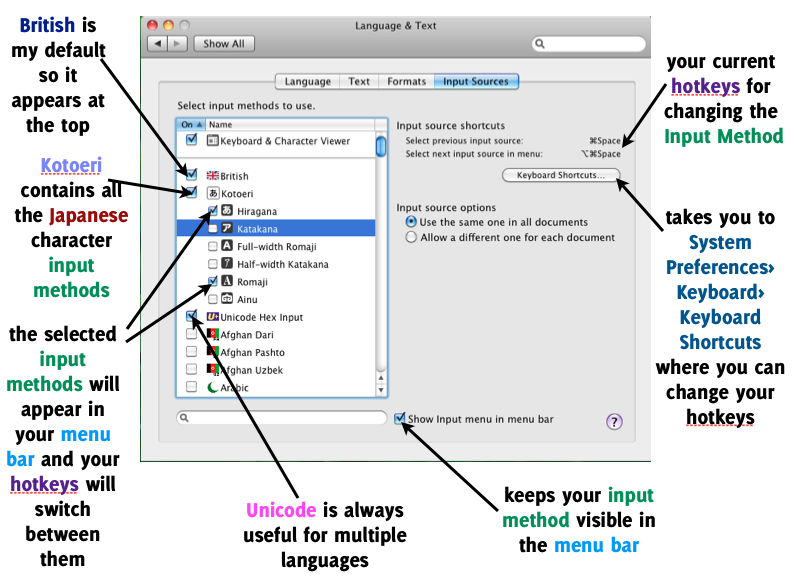 It gives you a lot of detail and several examples so it’s really useful. Obviously it’s not the complete OED but it does a pretty good all round job.